My friend and I took the non-traditional route to the summit, creating a loop hike. 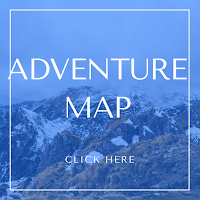 We started by taking the gondola up to Needles Lodge, worked our way down the Needles Trail, headed north on the Porcupine Trail, then over and up via John Allen Trail. From there, we crossed the ridge starting from Allen Peak, over to Mt. Ogden, then down to the saddle, and finally back to Needles Lodge. 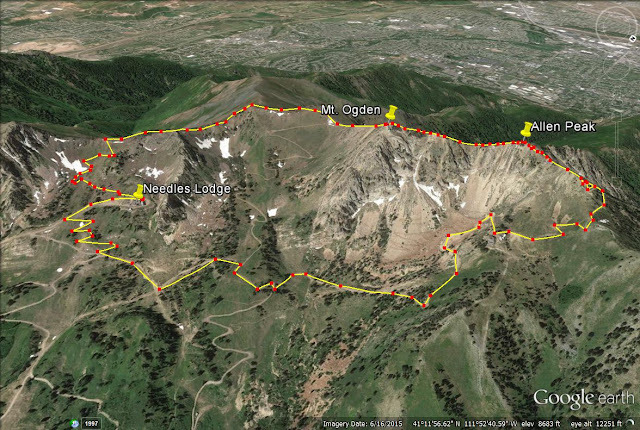 This created a 4.5 mile loop, with roughly 1,400 ft elevation gain. I wouldn't recommend this route if you are afraid of heights or do not like being on a ridge with a sheer drop off to one side. The "normal" route to Mt. 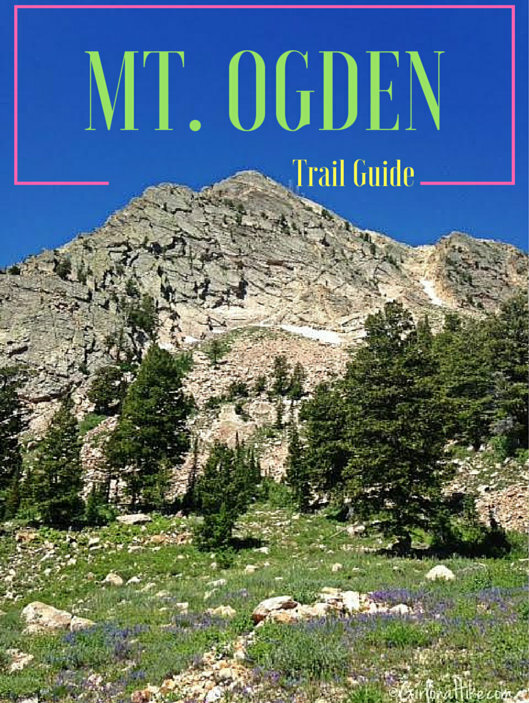 Ogden is still via the Needles & Ridge Trail, but instead of heading down and around, you would head up and over. 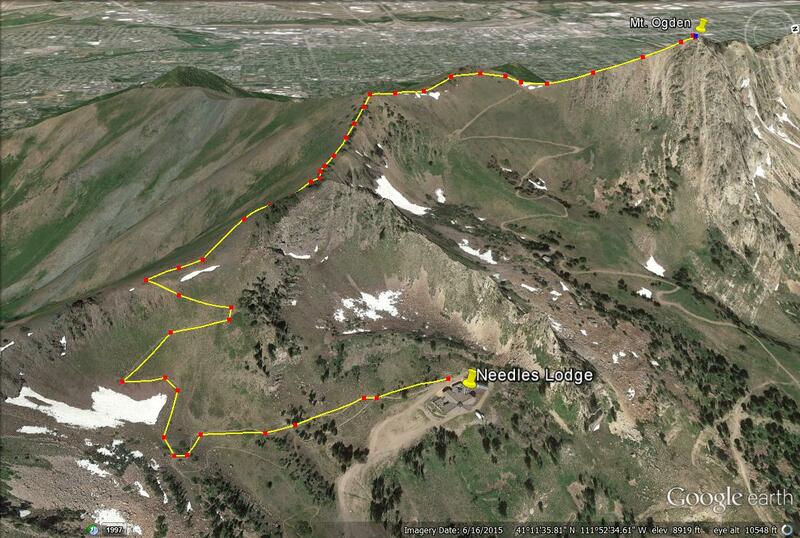 This route is still a 4 mile trail, but as an out-n-back. You still walk along a ridge, but it is not as narrow nor as rocky as hiking it as a loop. 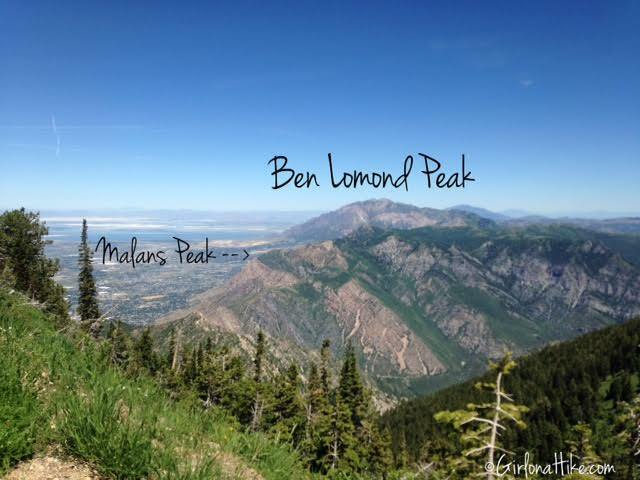 Both ways offer fantastic views of Snowbasin below, the city valley and Antelope Island to the West, and Ben Lomond Peak to the north. 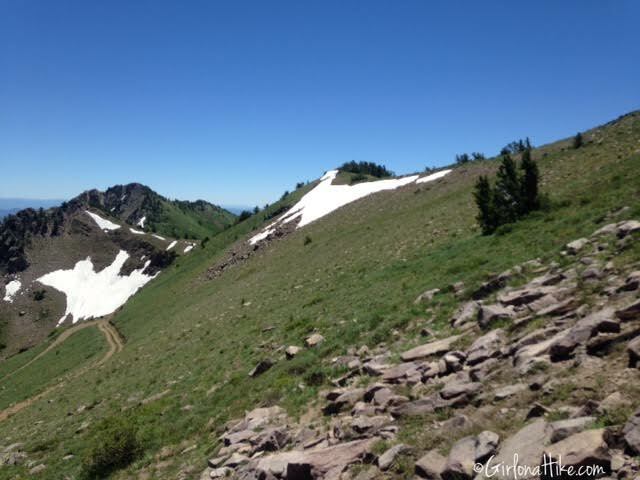 Being plenty of water and sunscreen - there is absolutely no shade on this hike, whichever route you take. 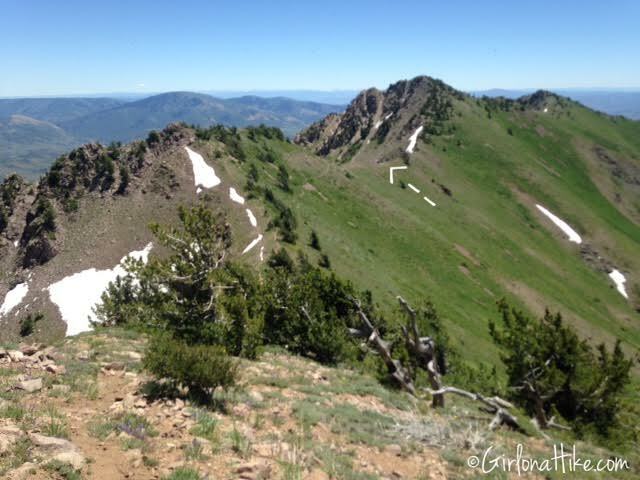 Keep an eye out for rattlesnakes - surprisingly, we came across one at the summit of Mt. Ogden. From SLC drive north on I-15 and take exit 395 towards HWY 89 North, just after the Lagoon. Drive 16 miles, then take I-84 East towards Morgan, UT. 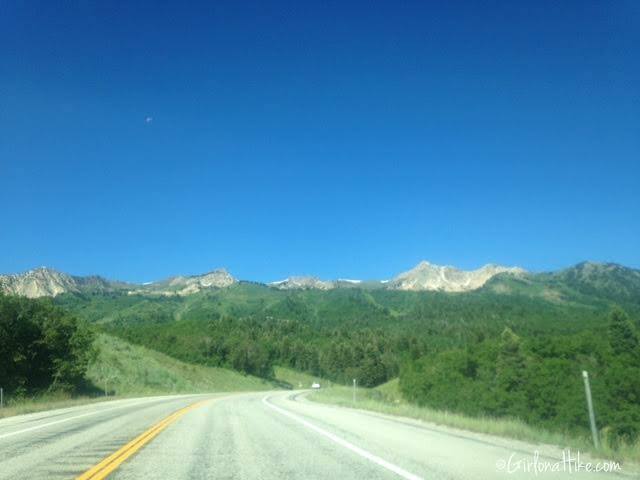 Take exit 92 for Snowbasin Ski Resort, and continue following the signs for Snowbasin. Elevation gain: Loop - 1,400 ft. Needles Trail - 900 ft. Yes. 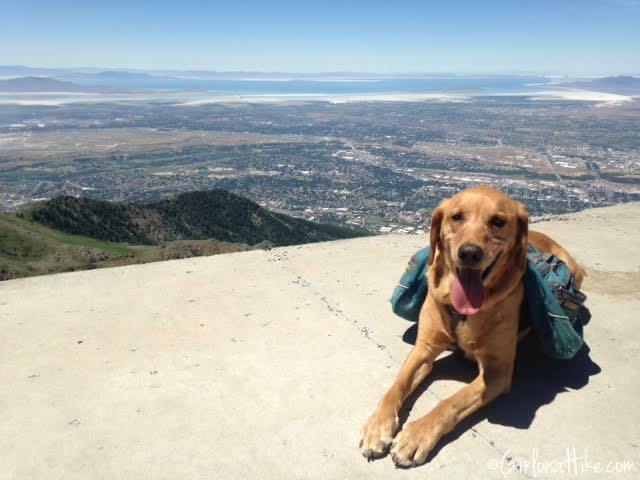 Technically dogs are to remain on leash on Snowbasin grounds, however, once you are away from people it's fine to have them off leash as long as they are under control. 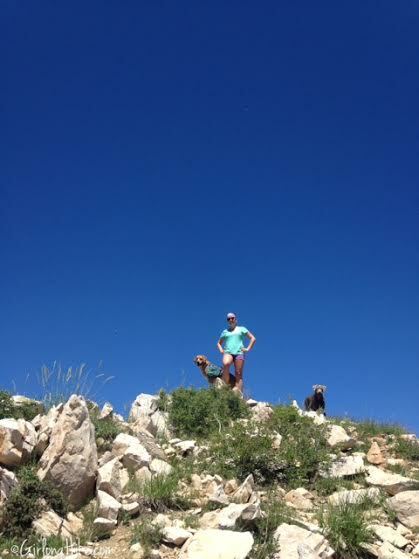 If your dog is not used to rocky, ridge-type terrain, I don't recommend they hike with you. 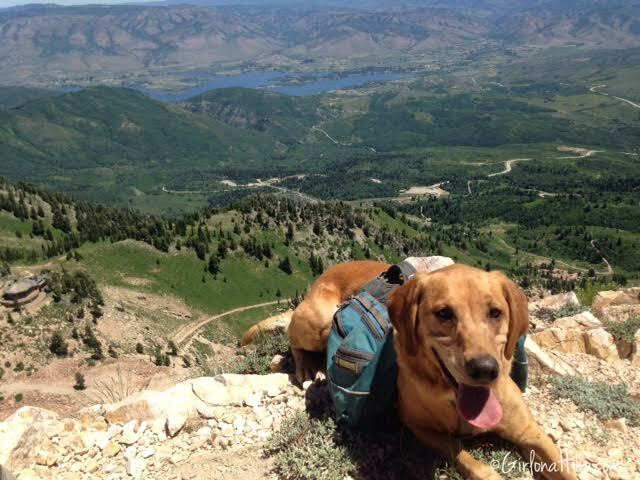 For some dogs, the rocks may tear up their paws/pads. Also, if you do bring them, make sure to bring at least 1 L of water per dog. I suggest only taking kids the "normal route", and ending at the saddle. The loop route is definitely not for kids. No permit needed. 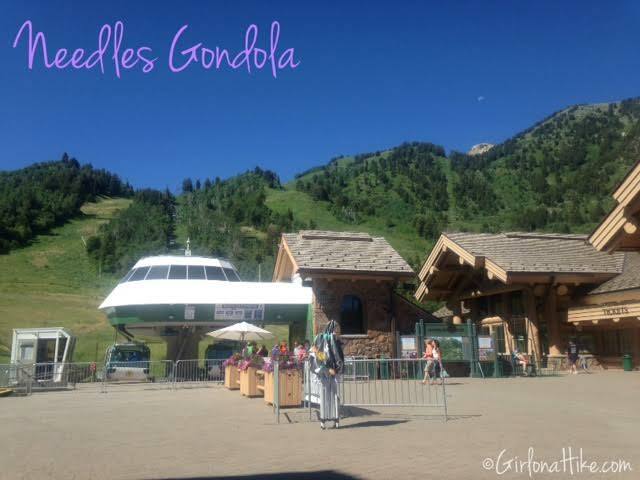 The gondola cost $14 for an all day pass for adults. 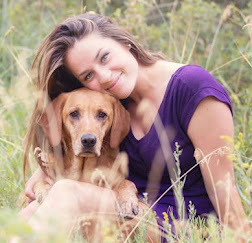 Dogs can ride for free. Parking at the Snowbasin lot is free. 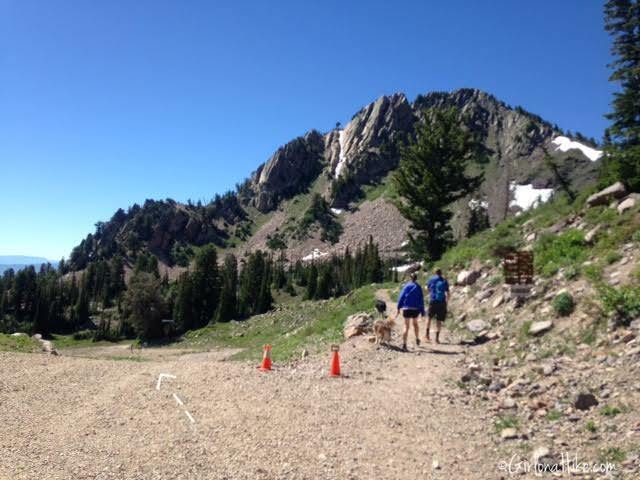 Because I was driving from Logan, UT after exploring White Pine Lake, Naomi Peak, and Tony Grove Lake, I decided to take the scenic route over to Snowbasin. What MapQuest failed to tell was that 14 miles of this road was dirt. I have a little Sonata, and although I was able to drive this dirt road, it was slow going. You know you are in the wrong place if you see Razor's flying by! If you have a car that sits even lower than a Sonata, I don't recommend taking this route. 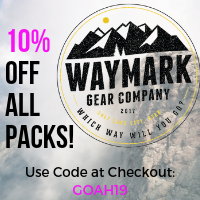 If you up for it or have an SUV, it is really pretty and worth it! 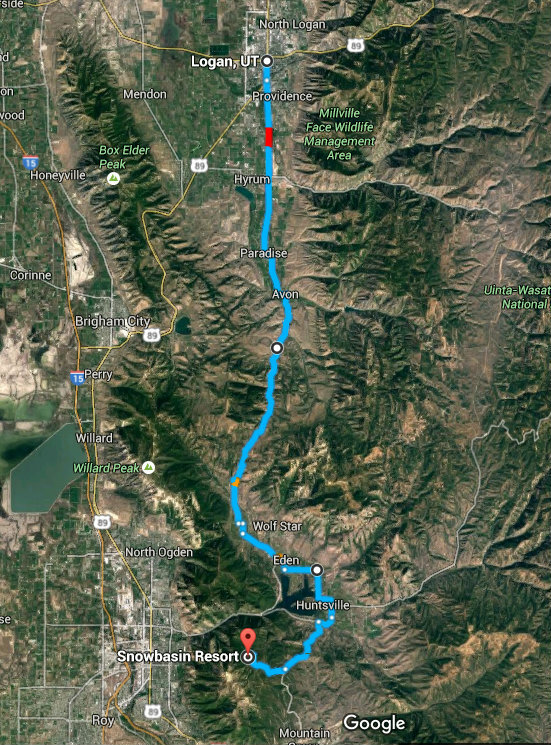 The drive from Logan to Snowbasin took me about 1.5 hours - not that bad really. Keep in mind that this route is closed from October - May. There are no fees to drive this route. Driving along the scenic route with the backside (East side) of Ben Lomond Peak. 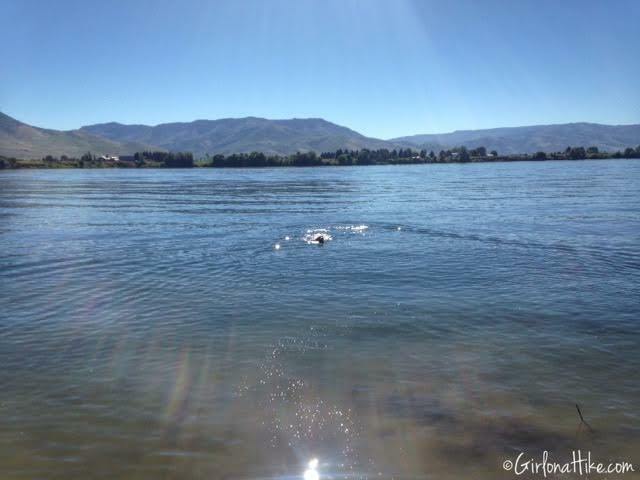 Along our drive, Charlie and I stopped by Pineview Reservoir for a quick swim. Dogs are allowed to swim on all shorelines EXCEPT at Cemetery Point, Middle Inlet, and Anderson Cove (basically the three developed/popular areas), and must remain "under control" at all times. We were able to find a quiet, hidden area, and I threw the ball for him a few times. He enjoyed it! 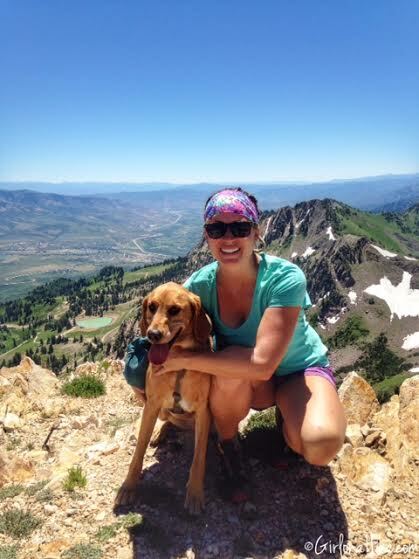 Once I arrived at Snowbasin, I bought my gondola ticket and rode up with Charlie. The gondola opens at 10am, so we were there for the opening. 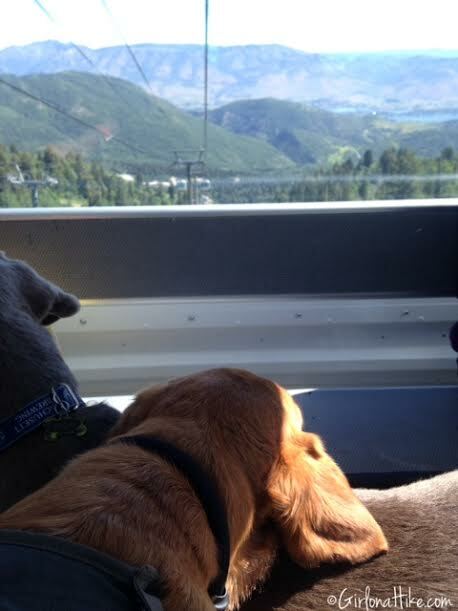 Charlie sits on my lap in the gondola. 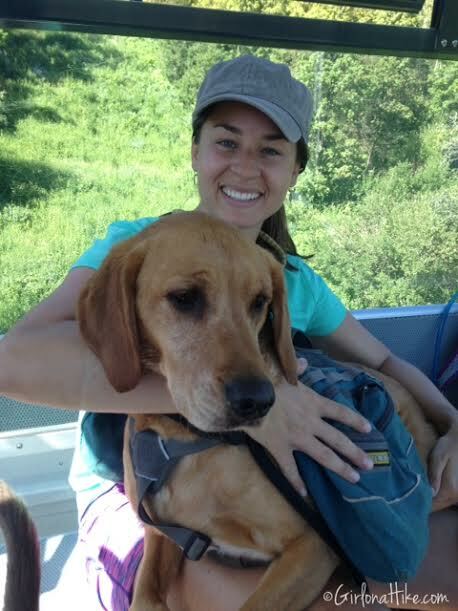 He was skittish at first to load into the gondola, but once I got him in, he was fine and sat still most of the time. He rested his head on his buddy, Basin (a Silver Lab), and watched out the window. He's so stinkin' cute sometimes! Mt. Ogden as seen from the gondola! 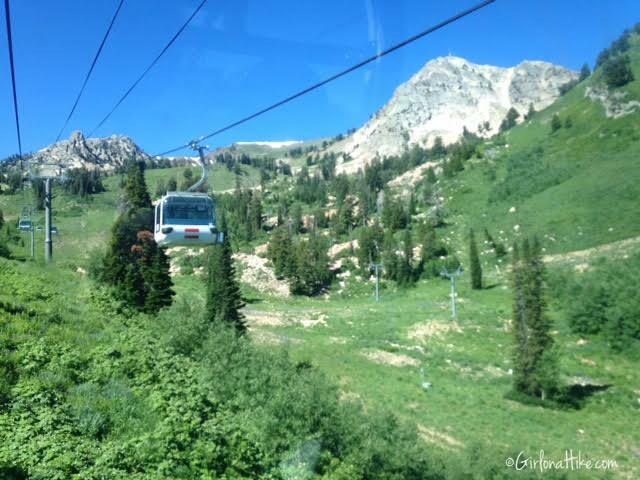 Once we got off the gondola, we headed left, and down the Needles Trail. You can see that most people head right up the normal route to the saddle. 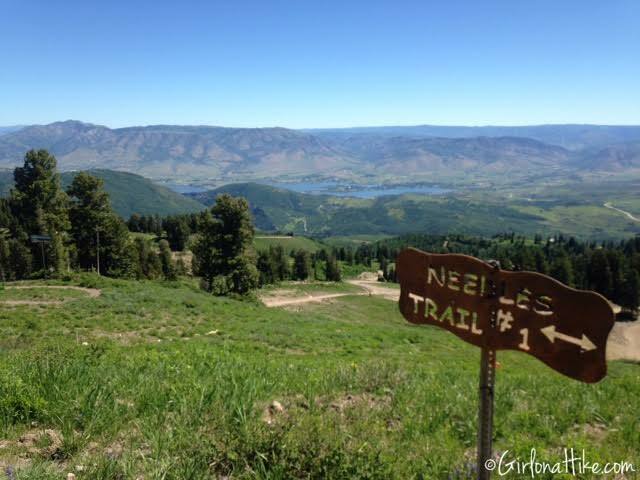 Following the signs for Needles Trail. Hiking by the base of Mt. Ogden. You can tell from this photo, but climbers were on the slabs of this East facing rock wall. 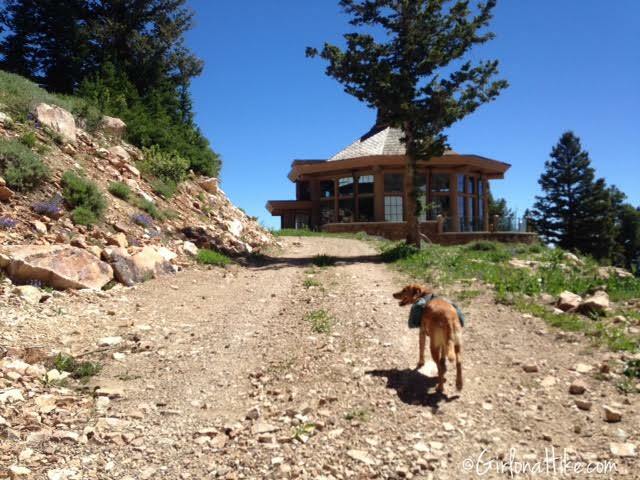 We made our way up the John Allen Trail to the new John Allen Lodge. It's closed in summer. 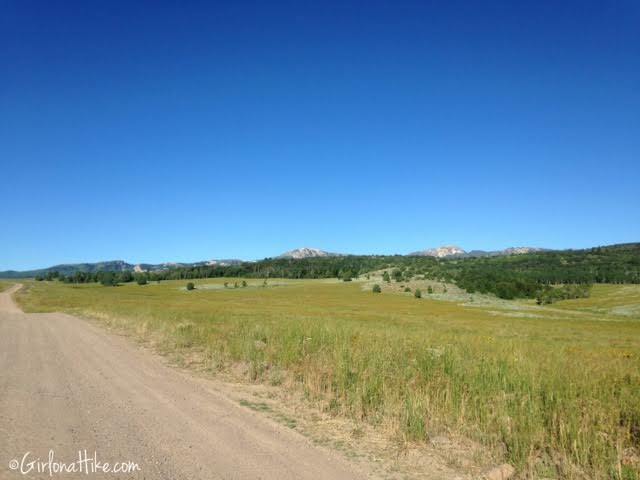 Once on the saddle, we continued following the fire road, which now headed South. 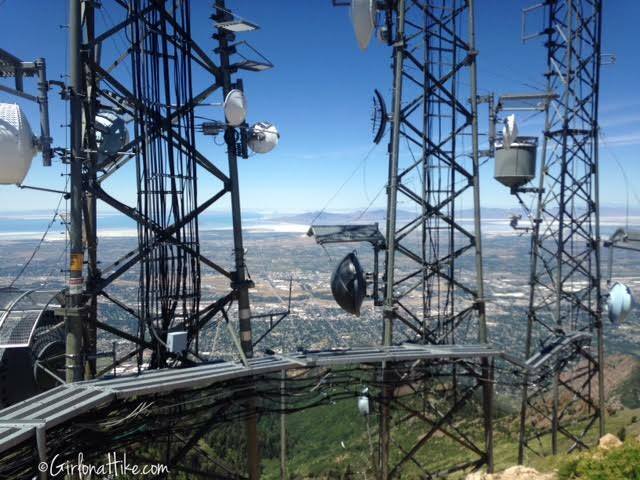 From here you get fantastic view of Ogden, Ben Lomond, and Malan's Peak. 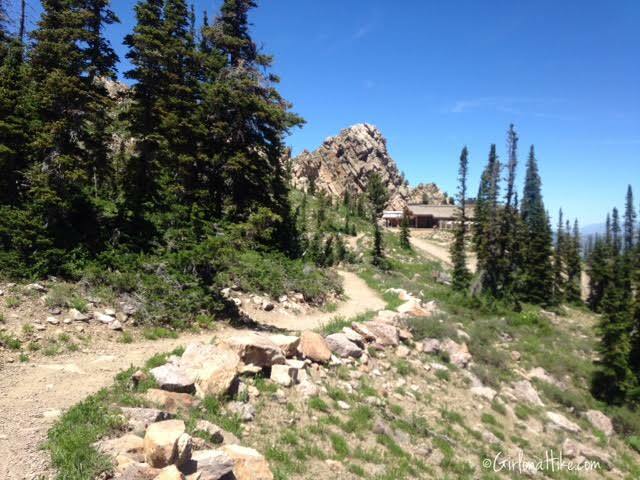 Once you reach the small hut which is used to ski races, the trail dies off. 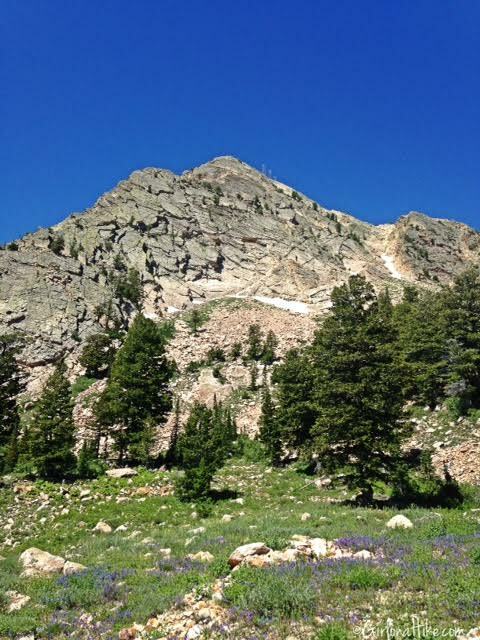 You'll need to make your own way to Allen Peak, then over the ridge to Mt. Ogden. It becomes very steep, and trekking poles may be handy for the incline. On Allen Peak with Charlie & Basin. Pano shot from Allen Peak, looking south to Mt. Ogden and the ridgeline connecting the two. 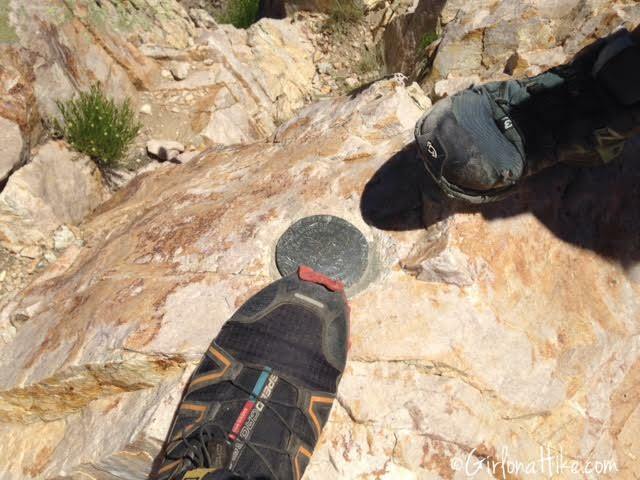 This is where the trail gets "fun" as you scramble your way over. It looks worse than it really is. Climbing up the last section from the North end of the summit. You'll reach the wide, rocky road, which leads up to the towers. This is also where we saw the rattlesnake. Mt. Ogden summit with Charlie, looking south. Charlie rests on the Heli Pad, overlooking Davis County. Looking East over Snowbasin, with Pineview Reservoir in the distance. 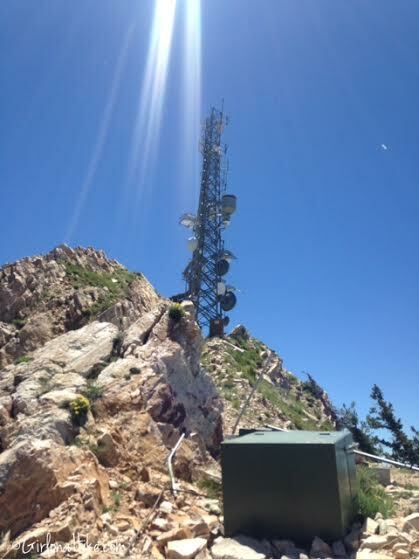 The radio and signal towers are quite an eyesore, yet if you look beyond (or around) them the views are great. We found the official summit marker! There was also a summit register in an old plastic peanut butter bottle. We continued on our loop by heading south from Mt. Ogden, along the ridge. 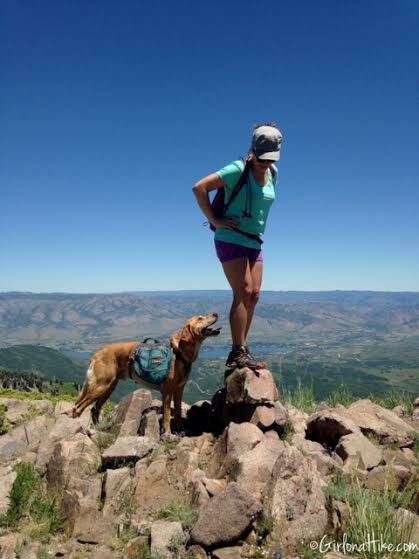 On an unnamed peak along the ridge. As you work your way down the ridge, you'll see the saddle you are aiming for. As long as follow the trail that is now clearly used, you'll get there. The whole day hiking we didn't see anyone along this route! At the saddle, looking down the Ridge Trail. This is where we finally saw other people out hiking. Most people hike up to the ridge, then back down. 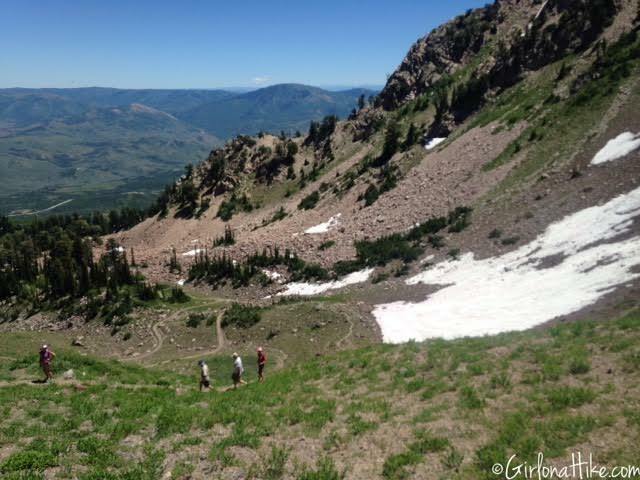 This part of the trail is well used, and switchbacks down this basin for 1/4 mile. Working our way back to where we started, the Needles Lodge. 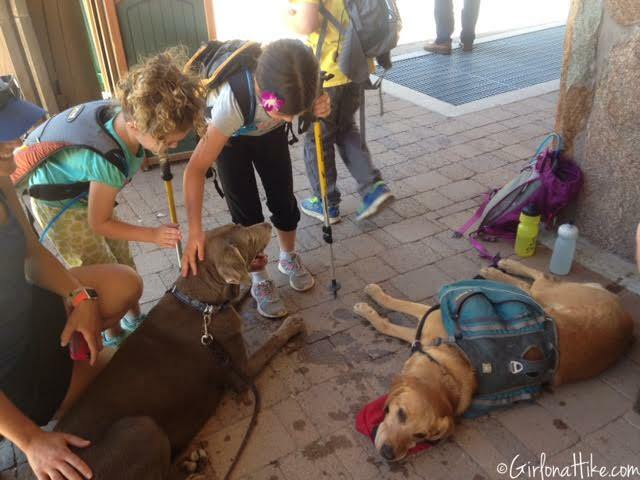 Once we got back, we let the dogs rest and drink more water in the shade, as the kids at the lodge pet them. This was our loop route. 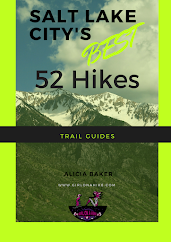 I don't recommend this for the average hiker - only take this route if you have experience going off trail, hiking across a narrow ridge, and have plenty of water and food. This is the "normal" route to Mt. Ogden following the Needles & Ridge Trail. 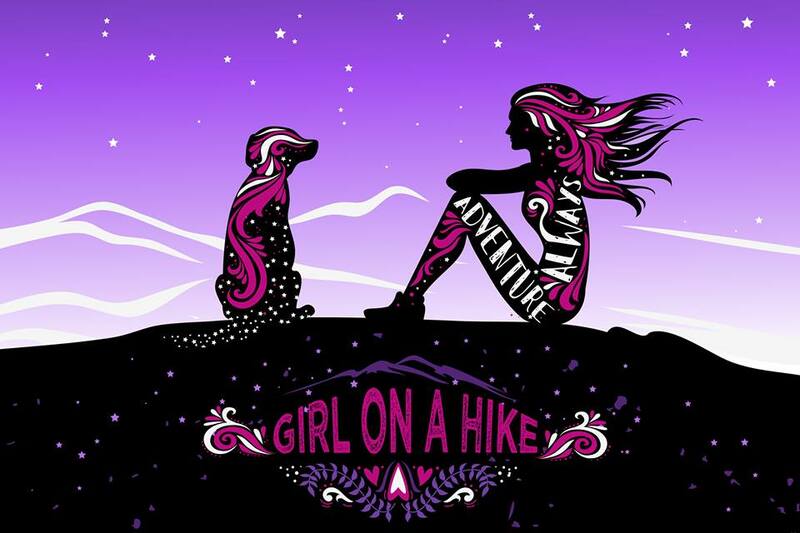 It's totally doable if you regularly hike, and if you have hiked at higher elevations. 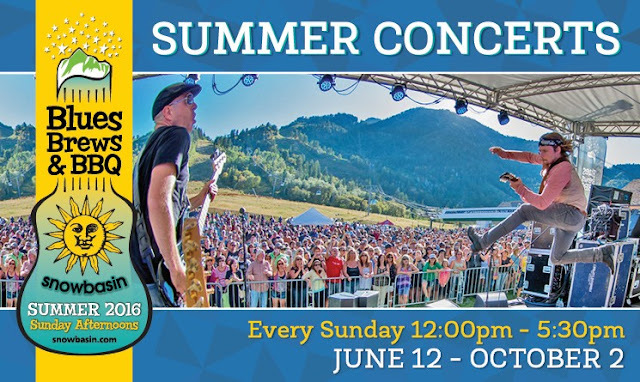 After you are done hiking, head down the Blues, Brews, & BBQ Festival for a beer, tasty food, and great music, held every Sunday!